Go behind the scenes to discover how Alauddin Khilji was created for the magnum opus, Padmaavat. 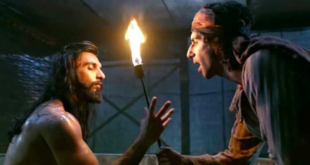 Jim also speaks about how Ranveer was so energetic and always made him realise about how blessed and lucky he should feel to be a part of the production. 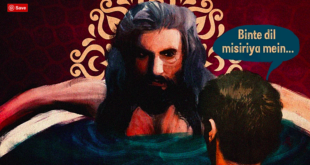 Kafur is in love with Khilji so much so that he doesn’t mind singing for him even from behind the veil as Khilji makes love to another woman. 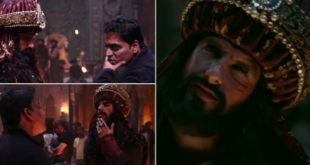 His villainous transformation of Ranveer into Alauddin Khilji took a lot of effort and was put together by the makeup, hair and prosthetic designer, Preetisheel Singh. 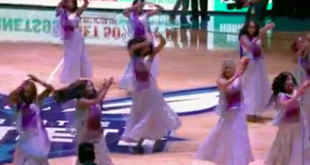 Recently, during an NBA match, American-Indian dancers enthralled the audience by grooving on the song Ghoomar.